Pets, and in particular, cats and dogs can be perfectly compatible with life on a residential or holiday park, often providing their owners with more benefits than just companionship. Many residential parks including our Glenholt Park near Plymouth have a relaxed pet policy, providing they are well behaved! Here are some ideas of how to get the most out of pet ownership. Not only do pets provide companionship and help improve your physical health, but they can also provide therapeutic and emotional benefits. In particular, owning a dog, can keep you really fit. Depending on what breed you have, you’ll be getting out 2-3 times a day with your companion, come rain or shine. Walking a dog, often doesn’t really feel like exercise, but it helps to get your 10,000 steps in for the day! Plus, getting out in the daylight will make sure you’re getting some vital Vitamin D into your system, along with plenty of fresh air. Dogs, as well as other pets, can help stave off loneliness and can be great companions. They are an easy way to meet other pet owners while out on walks or animal training groups. You might also decide to have private animal behavioural / training sessions with other residents, to share the cost and enjoy a shared interest together. Pets give structure to the day and can lower stress levels. Dog owners are actually less likely to be depressed and caring for a pet helps to encourage people to be more positive. Who would have thought it, but pets that venture outdoors can improve our immune systems, by bringing germs and dirt from outside into our home. Pets help to strengthen the immune system and build resistance to such things. Plus, dog owners are more likely to have a healthy heart. In fact, research has shown that dog owners are much more likely to survive a heart attack compared to non-dog owners. Which Small Breeds of Dogs Make Good Companions? The dog has been a human companion for more than 18,000 years, making it one of the first domesticated animals. If you are thinking about getting a dog, the www.goodhousekeeping.com website gives a list of Small Dog Breeds That Make for Perfect Companions. Which might be a good option for park home living. Their list includes the English Cocker Spaniel, with its friendly personality and the Maltese which is very lovable. Or the spirited Beagle, which is an intelligent, playful and loyal breed. The Boston Terrier is affectionate, without the fiery temperament of a typical terrier. Plus they’re intelligent and love lots of attention. For a dog that requires minimal exercise, the French Bulldog is a good choice. This big-eared pooch is becoming increasingly popular. Not forgetting the Yorkshire Terrier, Lhasa Apso, Miniature Schnauzer and West Highland White Terrier, which also make good companions. It really helps on those dark evenings out with your dog if you can invest in some reflective clothing or items to go over your clothes. Also, a light-up or flashing collar for your dog is a great idea, especially if you let your dog off the lead. This will make finding each other again much easier, plus safer whilst walking your dog near roads. If you both wrap up warm before stepping outdoors, it will make your walk that much more bearable. Short-haired breeds like the greyhound or poodle may need an extra layer through winter. You could try a wool or quilted jacket, but just keep checking your dog doesn’t overheat. Traditional agility obstacle classes have a range of benefits for both you and your dog. This training helps you to have better control of your dog and gives them mental and physical stimulation. Plus, it strengthens the relationship and teamwork between you. These activities are brilliant for more active breeds, that really miss their long runs through the winter. And exercise play like these mean your pooch will sleep really well once they get home. The virtual babysitter, “Furbo Dog Camera”, is a nifty idea for keeping a watchful eye on your pet when you are out. With two-way audio and visual components and a treat dispenser, it’s a great way to see what they are up to and communicate with them through the day. It’s not a cheap option at £199.00, but it certainly stops them getting bored. Or how about a “Pet Paw Plunger”, ideal after going out for a muddy walk through the fields. Come home and place each paw into this cup-shaped tool, with soft bristles inside. It helps to clean off any dirt, mud or debris from your dog, paw by paw. For walks in the dark, how about a “Nite Ize Glow Streak LED Ball” a light up ball. It’s motion activated and means you can play fetch any time of day. With the average pet insurance claim at £750, you might hope it won’t ever happen, but what happens if your prize pooch or feline gets sick? Can you afford an unexpected bill running into the hundreds or possibly even the thousands? Consider if it’s worth getting a Lifetime, Annual or Accident Only insurance, rather than risking it. Plus, consider what kind of pet you have. Most insurance policies are taken out for dogs and cats and they are easy to insure. But it’s debatable if it’s worth insuring for smaller mammals such as gerbils, hamsters and rabbits. Exotic pets are harder to insure but as they are more unusual it might be worth looking into the costs of insurance for them. And if you have venomous animals, you might want to look into liability insurance, rather than pet health insurance, as these are generally uninsurable. Furry Friends Not for You, How About Going Tropical? Tropical Fish make great pets, fish are known to have a calming effect on anyone who watches them. Generally, fish are easier and less expensive to look after than other pets, although they do need a proper aquarium and some care to keep them healthy. Fish are easy to leave at home alone for hours, unlike other furry and feathered pets. They are quiet, so disturbing the neighbours won’t be an issue! An aquarium of any size, as long as it’s maintained well, can be a beautiful addition to any room. 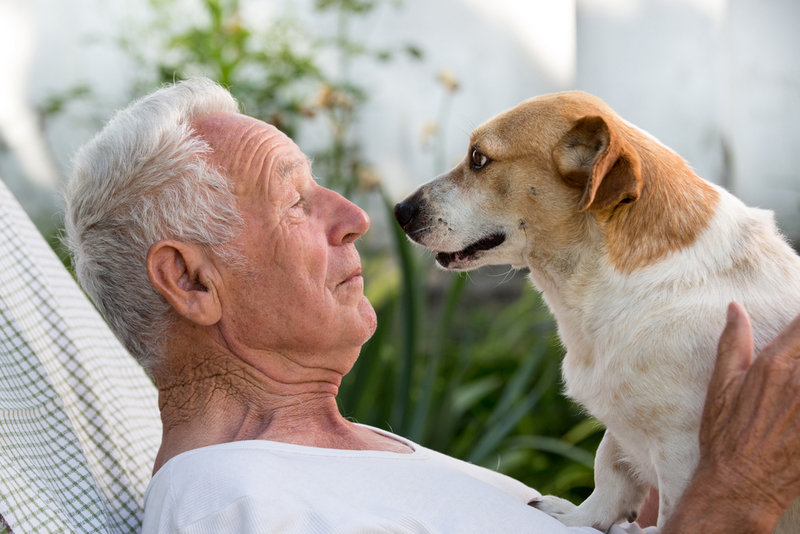 Retirement often provides the spare time necessary to care properly for a pet and the rewards can be genuinely life-changing. If you are comfortable with the commitment and the park of your choice allows pets, then why not take the plunge. Our personal favourite is the Lhasa Apso – an affectionate bundle of fun guaranteed to get admiring glances and start a conversation. ← Save money with smart thinking!